Giant Food Stores of Carlisle, Pennsylvania, will expand in Philadelphia with the opening of three more Giant Heirloom Market stores during 2019. Building on the success of the first location of this urban store concept in the Graduate Hospital area, the new stores will bring a format and assortment specially curated for each of the unique Philadelphia neighborhoods of University City, Northern Liberties and Queen Village, with local vendor partnerships lending authentic and familiar flavors. First to open over the summer will be the University City store at 3401 Chestnut Street, situated between Drexel University and the University of Pennsylvania for the large populations of students, faculty and administration. The Northern Liberties site will open its doors at 1002 North Second Street, across from the Schmidt’s Commons in the fall, followed by the Queen Village location at 201 South Street by the end of 2019. The company unveiled this expanded commitment at its 95th anniversary celebration in October of 2018, when Bertram joined Mayor Kenney to announce the opening of the first Heirloom Market in Graduate Hospital, as well as the company’s $1 million donation to Philabundance, the region’s largest hunger relief organization. With the addition of the three new Heirloom Market locations, the company will operate five locations within the city limits, including one on Grant Avenue in Northeast Philadelphia that opened in 2011. While the Heirloom Market stores occupy a smaller footprint than a traditional Giant store, they maximize space and the customer experience with selections and features uniquely curated for the neighborhood they serve. The new 9,950-s.f. Heirloom Market in University City, for example, will cater to the convenience and needs of its busy academic neighbors by offering a wide selection of grab-and-go meals to take to work for breakfast or lunch, to enjoy in the gathering area with friends, or to take home for an easy, nutritious dinner. The University City store also intends to accept payment by DragonCard and Penn Card. 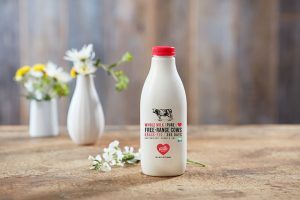 All three new locations will offer fresh, local, and seasonal foods, everyday essentials and the market’s organic brand, Nature’s Promise. An onsite produce chef will be available to cut fresh vegetables and fruit on demand, while a sampling station will encourage customers to explore new flavors. The Giant Heirloom Market stores will also feature a curated selection of craft, imported and domestic beers and wines, as well as a vast array of plant‐based foods, local artisanal breads, fresh-made sushi, kombucha on tap and a do‐it‐yourself olive oil and vinegar blending station. 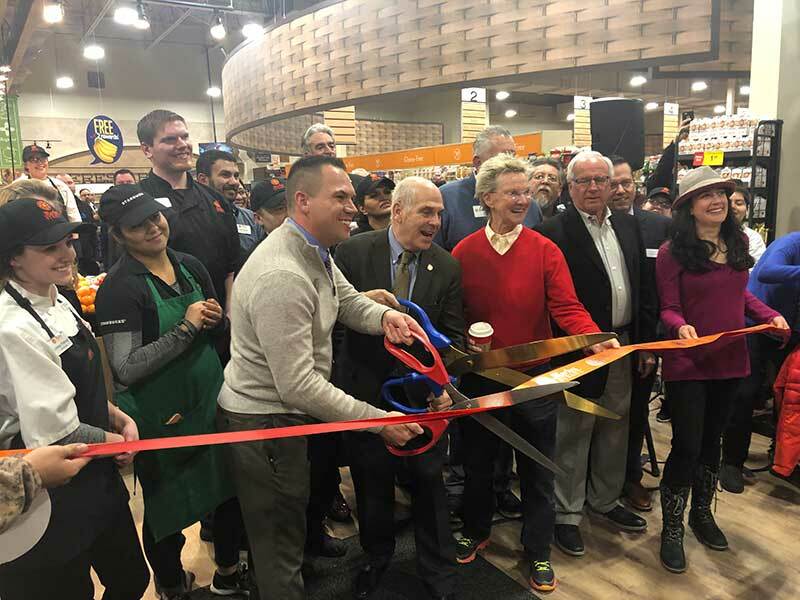 Local customers will be pleased to see favorites from Philadelphia‐area food purveyors such as High Street on Market, Claudio’s, Isgro Pastries and One Village Coffee. For added convenience, all three new Giant Heirloom Market stores will offer both self and mobile checkout. In addition, the “Endless Aisles” service will enable customers who need something unavailable in‐store to order via iPad for next-day pick up or delivery. Founded in 1923 in Carlisle, Pennsylvania, Giant Food Stores is a company of Ahold Delhaize USA. 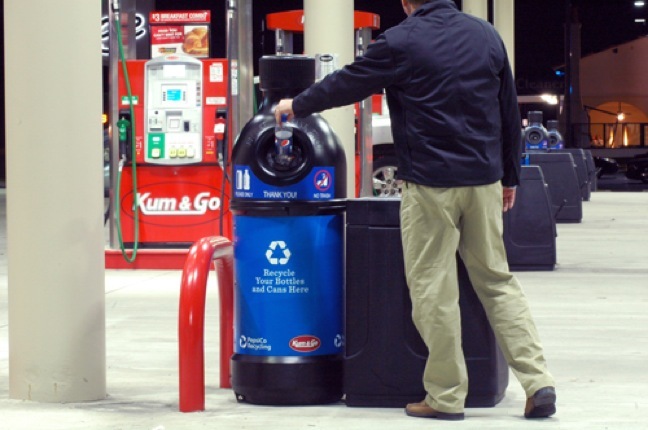 Giant has more than 170 neighborhood stores and offers home delivery, online/mobile ordering, fuel centers, pharmacies, plus in-store nutritionists. Serving families in Pennsylvania, Maryland, Virginia and West Virginia, Giant Food Stores is proud to employ nearly 30,000 associates. 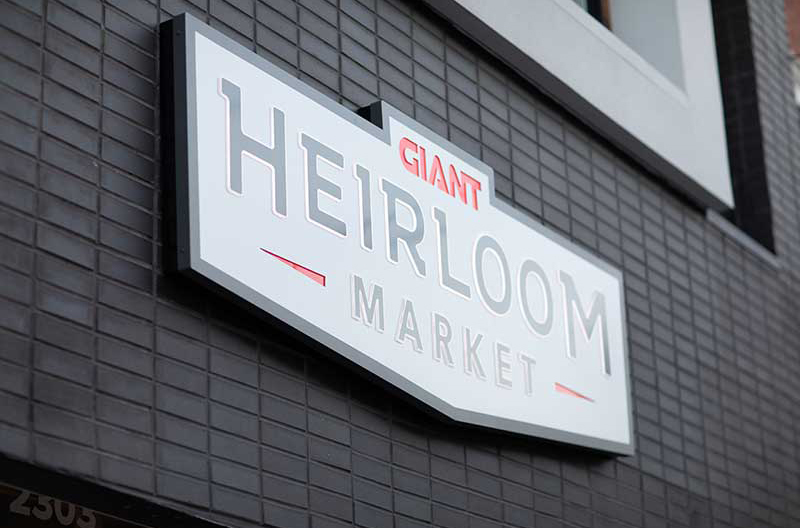 The Giant Family of Brands includes Giant, Martin’s Food Markets and Giant Heirloom Market.